Fordham Westchester held a reception December 8 to celebrate the publication of Afterwords: As You Were, the 20th anthology from Fordham’s Veterans Writing Workshop. The Veterans Writing Workshop is designed to provide veterans with the tools and confidence to share their military experiences through writing. Veterans participating in the 10-week program read their stories at the reception. Fordham Westchester offers the program free of charge to veterans. David Surface is the founder and instructor for the program. 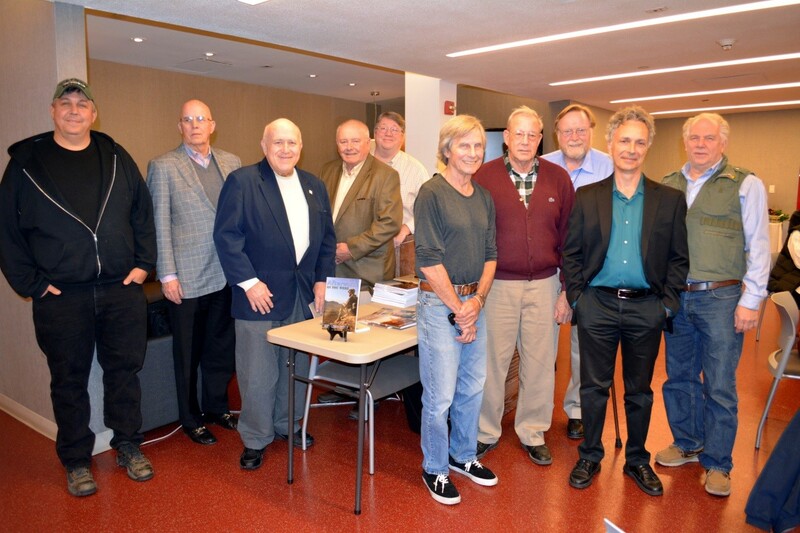 Veterans from the program who attended the reception and pictured included, from left, Matt Phair, James McCauley, Peter Stone, Matt Coffey, Terry Soloman, Rod Carlson, Nick Lamonica, George Kelly, program instructor David Surface, and Randy Swan.